Our catchment area is London and the Home Counties. We have been providing outstanding photography services for over 40 years. School photography is not just about taking photographs. It is just as important that the shoot runs smoothly and is stress free for your staff. This combined with a quality product is what we pride ourselves on, and we strive to deliver a personal and efficient service. All our photographers are experienced in working with all age groups, right through from nursery to sixth form, including Special Educational Needs schools. Photographs last a lifetime and this is the approach we take to our relationship with you too. By creating and maintaining ongoing personable relationships with your staff, and investing time to understand what your schools needs are, Churchbury Photographic is becoming the repeated preferred choice for many establishments. Our highly capable photographers, combined with the features of each of our personalised packages, offer multiple benefits for schools, parents and pupils as well competitive commission rates throughout. All our photographic printing, proofing and packaging is undertaken in our own digital laboratory ensuring maximum quality control from image capture to dispatch. Address: Churchbury Photographic Services Ltd.
A vast choice of packages and individual prints to suit all budgets. Use of our website could lower your workload and increase sales. A flexible commission structure designed to maximize sales. Commission is linked with the prices your parents pay. Class and team photographs are also available. Orders collected and delivered weekly. We offer additional shots with siblings. Thumbnail Proofs printed directly on order forms. Free low resolution images available to import on to your data base. Staff photographs are free of charge when taken in conjunction with the individual portraits. 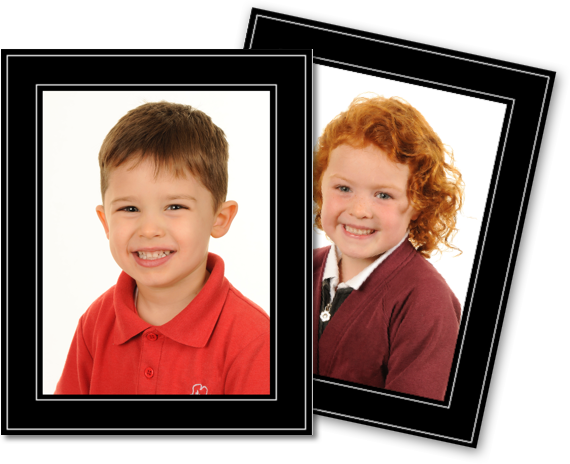 Contact sheets of all images taken for quick reference for parents who have lost order forms.